We've designed these petite pads especially for you. 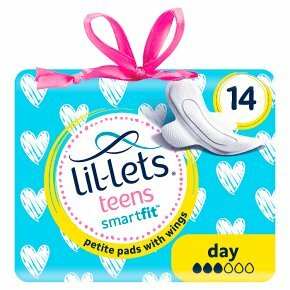 Brilliantly breathable & comfy on your skin Smaller & narrower for the perfect fit As amazingly absorbent as adult pads Stay put wings for perfect pant protection Available in day, long and night for around the clock protection Fragrance free Because we know what it feels like to be a girl. Lil-Lets. Designed by women, for women.